Patrick Reault was born in Bayonne, France on October 11th,1955. He is a multi-talented artist, as painting, music, and theatre a just a few ways he expresses himself. 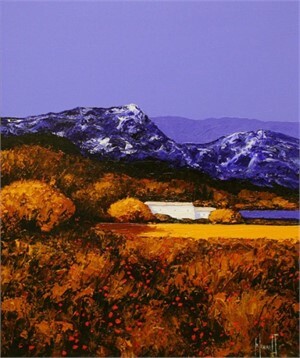 However, painting has become his main form of expression for the past 26 years. Two masters have inspired Reault throughout the years: De Staël and Turner. Thanks to the influence of these two artists, he has become an integral part of the Provençal Movement. In 1982, Reault's first private show took place in Marseille, and marked a turning point in his career. From 1982 to 1988, he participated in group exhibitions throughout France (Paris, Honfleur, and Cassis, to name a few). However, since 1988, not only has he continued to hold public exhibitions throughout France, he has also regularly exhibited outside of his homeland, including Hong Kong, Geneva, Tokyo, and Singapore.